This was news to me, but did anyone from Boston learn about The Great Molasses Flood of 1919? A tank (tower) containing 2.3 million gallons (weighing 26 million pounds) burst, and the phrase "slow as molasses" didn't seem right as the first wave flooded streets at 35 MPH. It killed 21 people and injured 150 more. Nearly every building construction standard that we take for granted today came about because of this flood, according to one researcher quoted in the article below. Molasses was needed for WWI efforts. It was turned into industrial alcohol, which was then used to make dynamite, smokeless powder, and other explosives. China’s space agency, buoyed by its success in landing a rover on the dark side of the moon this month, is planning to launch another mission to the moon by the end of this year and a mission to Mars as early as next year. Pun , here in California "Moonbeam" Jerry Brown is proposing taxing our drinking water now. The price of the water here is already "to the moon"
Oh yes the great molasses massacre! It's incredible to visualize the amount of molasses that was spilled and the clean up that happened. Imagine how long it stayed around and how sticky everything was. This belongs in the Facebook thread, but since I'm not allowed to see it I can't post it there, or even see if it has already been posted. Maybe someone can move or cut/paste it there. Where is that "world's smallest violen" emoji when you need it? jcz1 wrote: This belongs in the Facebook thread, but since I'm not allowed to see it I can't post it there, or even see if it has already been posted. Maybe someone can move or cut/paste it there. Not an English teacher, but, uh, is that allowed? It was a play on an old meme. This should explain it. Data are plural, therefore are and not is. With my community college degree, I would say neither are or is..but "belongs" instead followed by ending with "b*tches"
Yes. Wow. Too much. I still won't. Brick's wrote: Data are plural, therefore are and not is. Agree, but that wasn't my question. It was about having 2 verbs together... now what does GB mean?? I know. it was a joke. Perhaps I'm the only one laughing but that's nothing new. Ask my wife or kids They'll tell you. I just woke up from a nap. 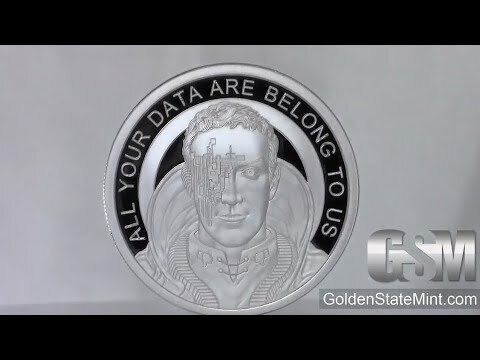 I did not expect to see GB in this thread... now, is that a GB on the coins or your data?